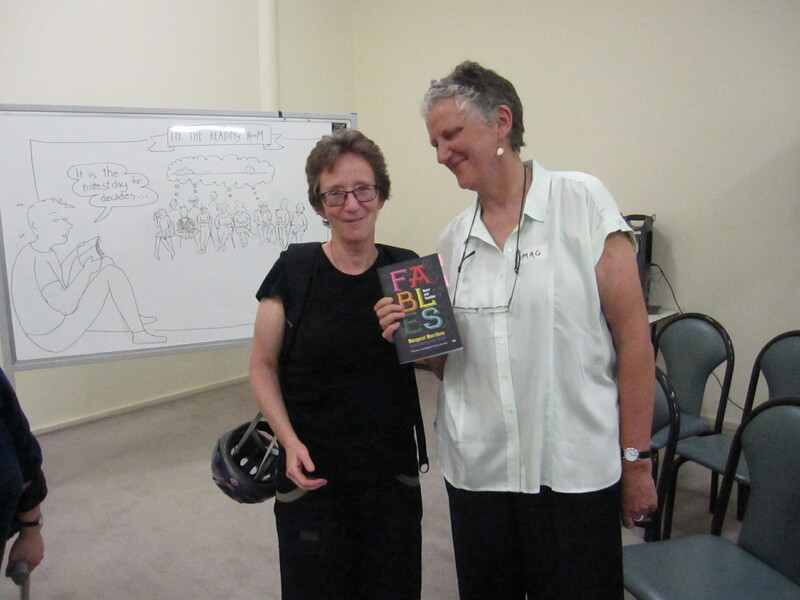 I went to a lovely event this week, the launch of Mag Merrilees’ second book, called Fables Queer and Familiar. 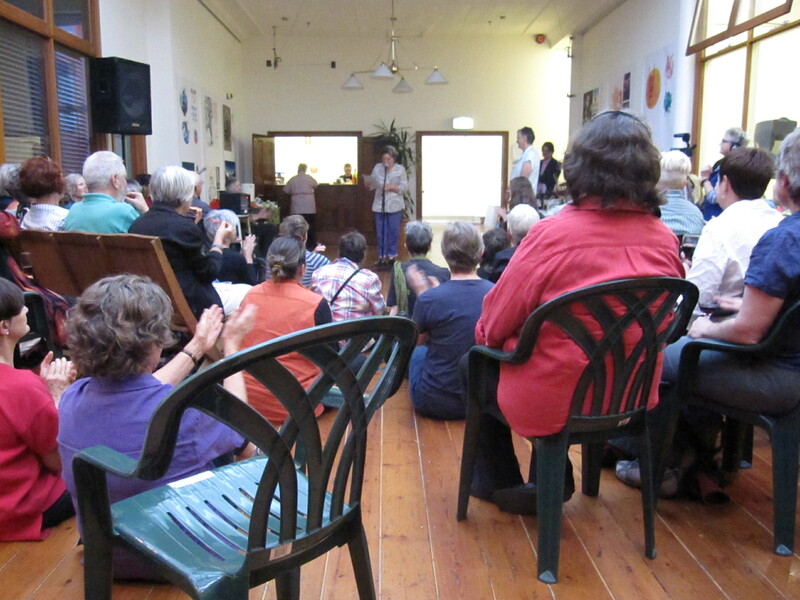 It was held at the Writers’ Centre in the city, and combined a few of my favourite things – friendship, creativity, books, community, singing, food and a good time. Mag’s book was originally written on her blog, in episodes over a period of a year or so. I subscribed to it then, and loved reading about local issues and concerns, Adelaide suburbs and happenings and fictional people who were at the same time so familiar. Mag writes in such a warm and funny way. The characters are terrific – the main characters, lesbian grannies Anne and Julia, along with their various friends and family members. The grandchildren are particularly excellent. One of the things I loved about the launch was how many people collaborated in supporting the project. There was merchandise for sale – two teatowels (I bought the one with pictures of ‘The Adelaide Avengers’ on it), and a selection of cards based on the illustrations in the book. 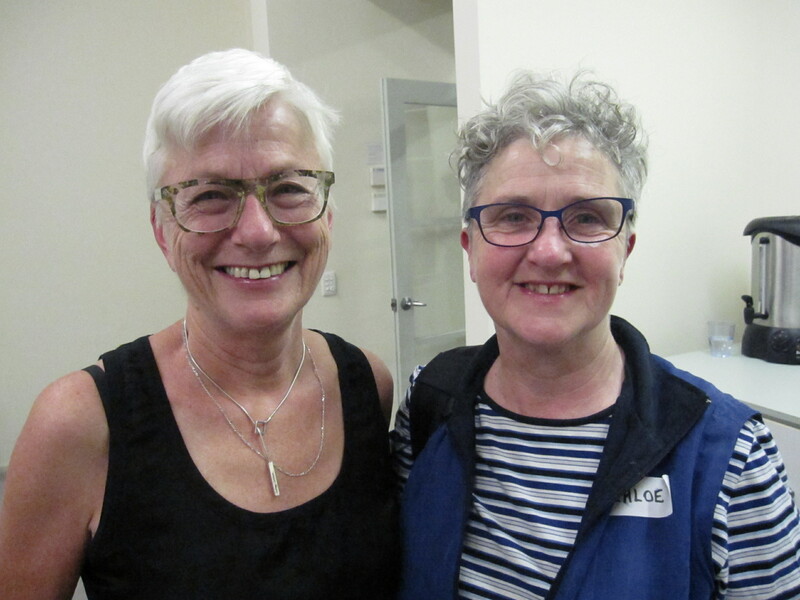 The illustrations themselves are great – and come from Chia Moan – she and Mag have been friends for 30 years, another link of creativity and friendship. It has also been recorded for the radio and will be broadcast on Radio Adelaide on Saturday mornings at 10 am from 6 December. The link to the Radio Adelaide website is below. You can also find links to the episodes so that you can hear it even if you can’t tune in on Saturdays. This all happened through Mag, good pal of my pal Nicky, who works at Radio Adelaide and is adept at all things broadcast. Then there was Chloe, who is making a film about it all, and Triptych, a group of fantastic singers who provided entertainment on the night. And of course, the publishers too, with another set of committed enthusiastic people supporting creativity in very creative ways. It all made me think about how good it is to work together on things, encouraging each other to pursue our creativity, and then to celebrate when success comes along. It was a lovely night and it’s a terrific read too. Details of the radio broadcasts are below, and links to the book itself too. https://radio.adelaide.edu.au/ This is Radio Adelaide’s website. 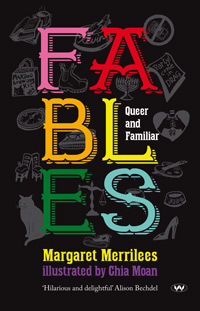 When you get there, search for Fables Queer and Familiar (use the search box), and that will take you to the right page with the various episodes. It won’t be up till next week though, so you can just practice the first bit at this stage!! 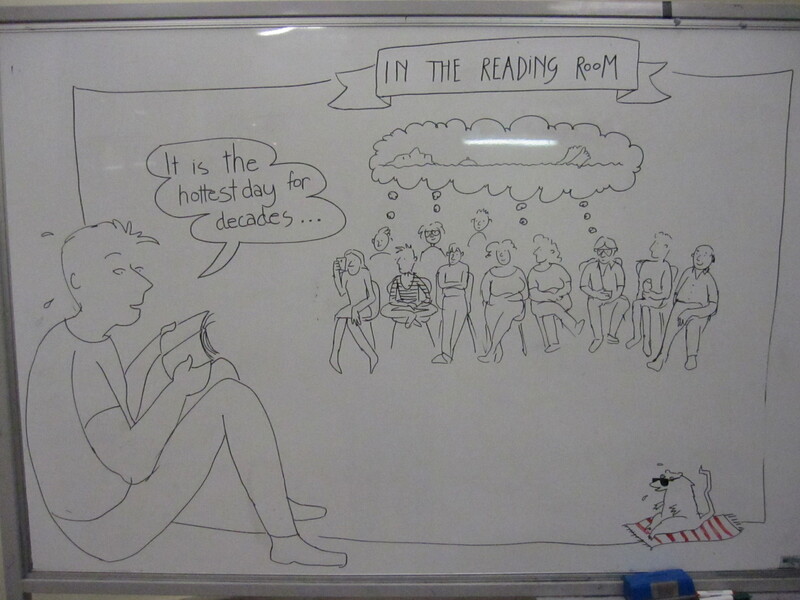 And here are a few photos of the event (not very good ones but better than nothing!) Don’t forget to click onto the pictures for a larger version. This is a good shot of the crowd taken by someone else!! Thanks to Mag’s facebook page for this one. 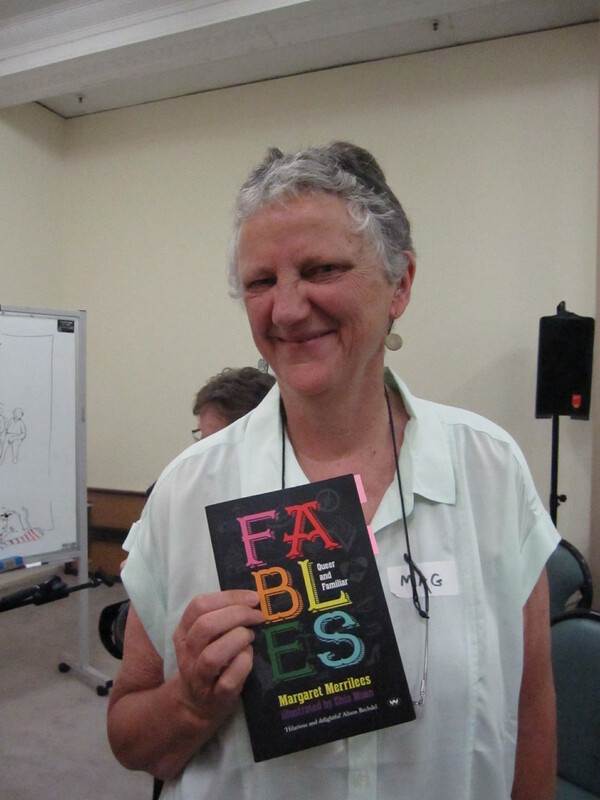 This entry was posted in Uncategorized and tagged book launch, creativity, Fables Queer and Familiar, Mag Merrilees, Margaret Merrilees, Radio Adelaide. Bookmark the permalink. Looks great. I can even see you Elizabeth in the audience!